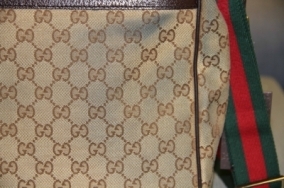 Showing 6 - 10 of 18 matching projects. 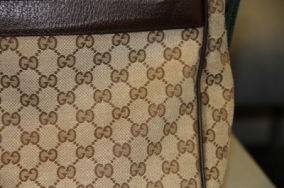 This Gucci bag had very bad dye transfer on it from jeans. 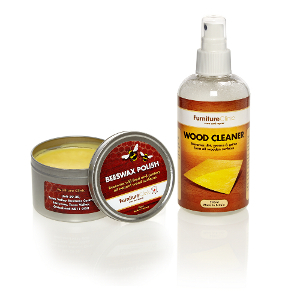 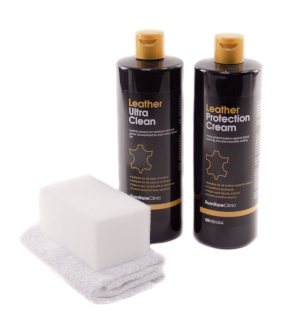 We cleaned the affected area with stain removers to remove the dye stains. 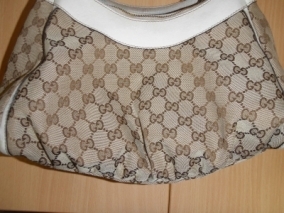 This Gucci bag was cleaned several times to remove the dark stain on the front. 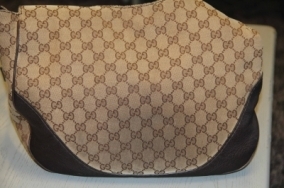 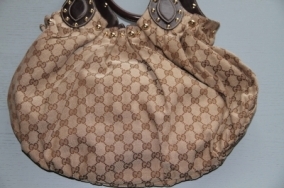 This Gucci handbag came into us with dye transfer staining on the left handside. 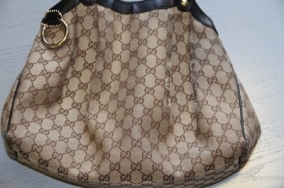 We cleaned the bag several times removing the stain and bringing the bag up to a newish condition. 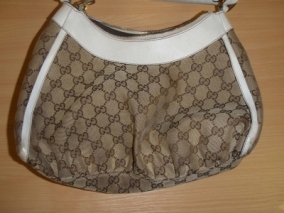 This Gucci bag had dark stains around the sides where the fabric had absorbed grease and dirt. 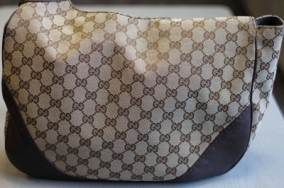 We removed all the dirt bringing the true colour back to the bag. 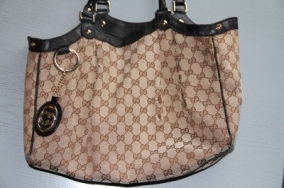 This Gucci handbag came into us for a general clean. 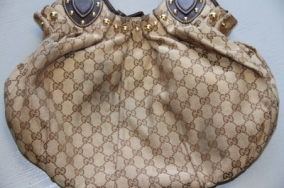 We cleaned it several times, putting some life back into it.